let's start off the New Year right with a quick and easy tutorial - the bread and butter of Blushing Basics! 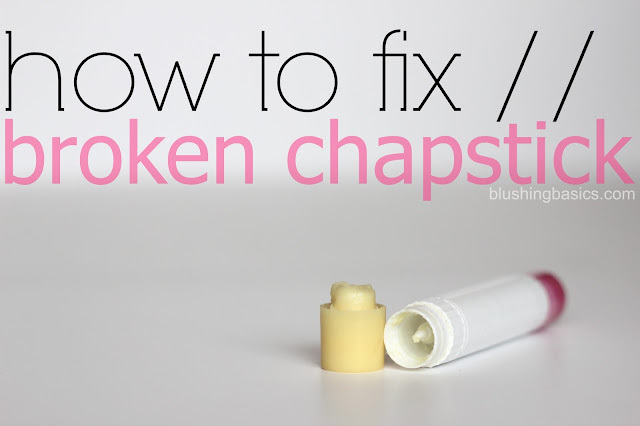 i decided to create this simple how-to due to the outrageous amount of chapstick we are currently using and the outrageous amount of chapstick that is getting destroyed by my toddler. if you have found yourself in the annoying predicament of having the entire chapstick stuck in the cap, here's how to fix it. 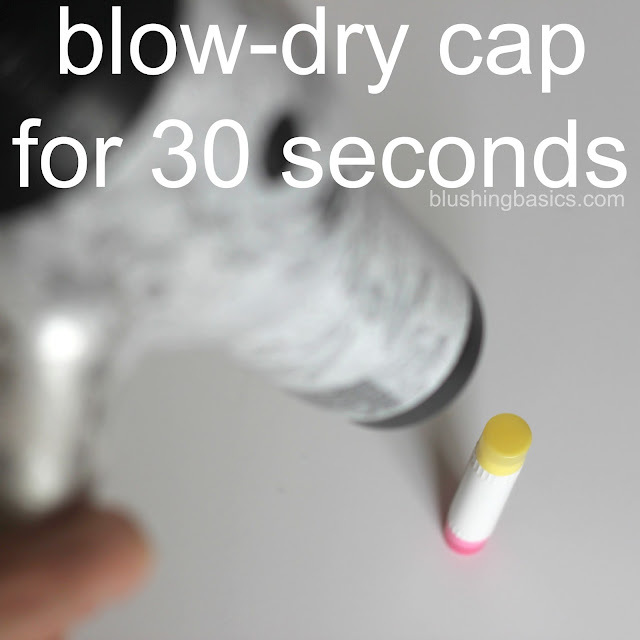 stand the chapstick upright and blow dry for 30 seconds. yep, it is that easy. the chapstick will melt and fall back into the chamber. 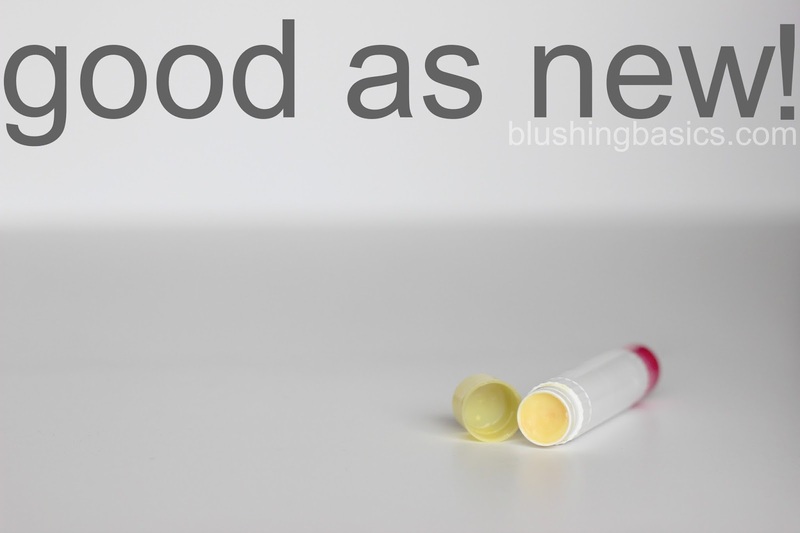 let it stand until it solidifies again (roughly 30 minutes) and your chapstick is as good as gold. hopefully this will help keep a few tubes of chapstick out of the chapstick graveyard this winter.